My mother’s a garden designer (Gold Medallist at Chelsea – I’m very proud) and I was chatting with her about gardens and children’s books and then the below came about – it’s a mood-board for A Garden for Torak. 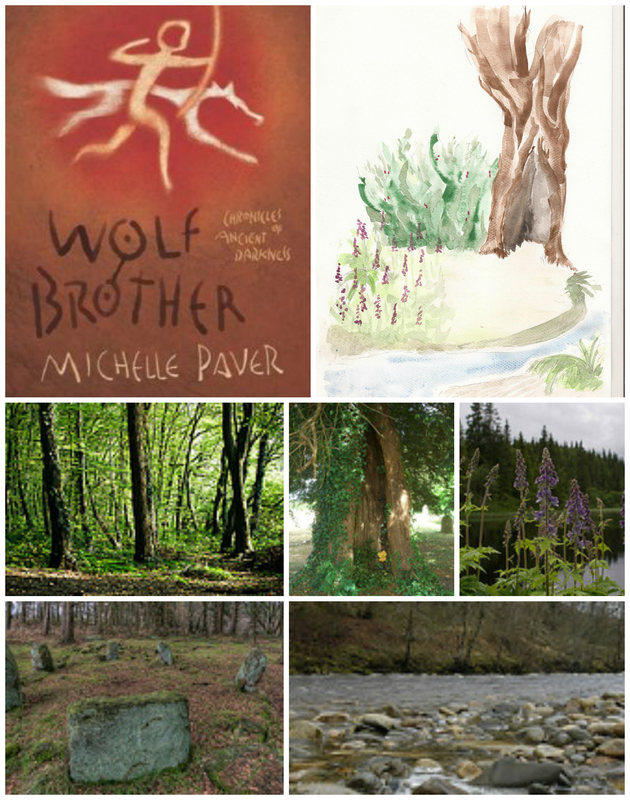 Torak is the hero of the ineffably beautiful Wolf Brother by Michelle Paver. The plants are Aconitum and the tree is a Yew and the stones are, um, stones :). It’s all drawn from the book and, I hope, shows how children’s books can translate (and should!) into other mediums. The text as garden! The garden as text! This is hopefully the first of a sporadic series featuring a very wide and diverse range of books. I hope you like! CC Images courtesy of Aprilly, Tim Sheerman-Chase, Randl Hausken, Paul Stainthorp and Heike Ba. Very lovely 🙂 Can’t wait to see more.